A collection of some of Dunlop's best picks. 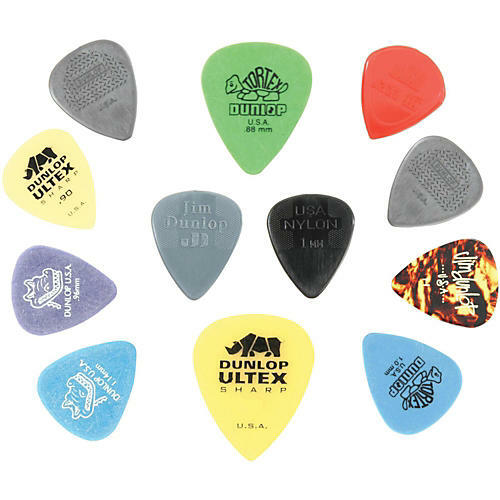 Kick start your pick collection with this money-saving 12-pack from Dunlop. No two picks are alike in this fun assortment. Discover your pick of destiny. Order today.